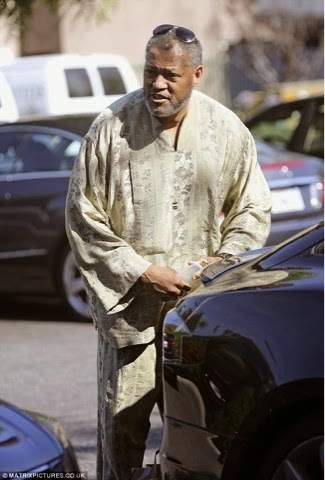 He is certainly one of the sharpest dressers in Hollywood, but on Friday, Laurence Fishburne decided to go low key. 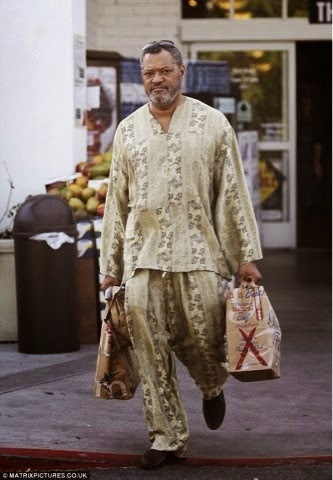 The 52-year-old was spotted shopping at Bristol Farms in West Hollywood, Los Angeles. 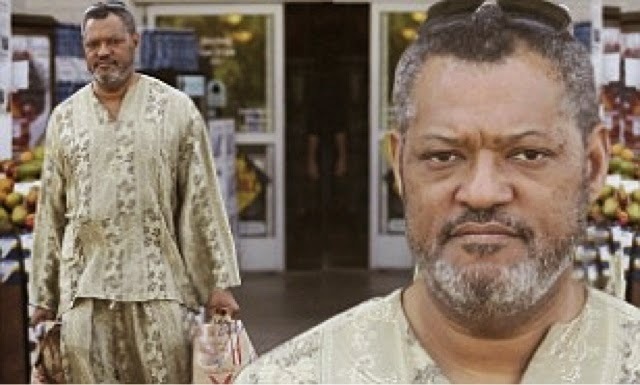 And with temperatures soaring into the triple digits, the What's Love Got to Do With It actor kept cool in an African-inspired loose tunic and pant suit that featured a bold pattern throughout. Laurence was carrying a couple of paper bags with groceries as he made his way to his car. Last week, The Matrix star, along with Tracee Ellis Ross, attended the Entertainment Weekly & ABC Upfronts Party at Toro on Tuesday in New York City to promote their new television sitcom Black-ish. It's expected to be one of the breakout hits of the US Fall TV season. Black-ish, a single-camera comedy centres on a middle-class African-American family, is due to premiere on ABC in September. The show also stars Anthony Anderson as Andre 'Dre' Johnson with Tracee as his wife Rainbow. Laurence plays the head of the family, Pops. Laurence and Anthony are also executive producers on the sitcom, which was created by Kenya Barris. Dre and Rainbow have four kids Zoey (Yara Shahidi), Jack (Miles Brown) and Diane (Marsai Martin) and Andre Jr. (Marcus Scribner). While dad Dre tries to reconnect with his roots, his children appear less interested in finding out about their ancestors. The first episode was directed by James Griffiths, known for his work on Episodes and Up All Night and who also made his movie directing debut earlier this year with the dancing comedy Cuban Fury. In between his TV commitments to Black-ish, Laurence is scheduled to appear in a new Batman/Superman film as Perry White due to be released in 2016.